Two-time Tony Award-winning stage actor Matthew Broderick has been cast in Katrina: American Crime Story, the second installment of the acclaimed limited series from Ryan Murphy, Nina Jacobson and Brad Simpson. Broderick will portray Federal Emergency Management Agency (FEMA) Director Michael D. Brown, who was in charge of the federal disaster response to Hurricane Katrina. Matthew Broderick joins a cast that also includes Annette Bening as Louisana Governor Kathleen Blanco. The first installment, The People v. O.J. Simpson: American Crime Story, was nominated for 22 Emmy Awards, winning nine, including Outstanding Limited Series. The first season of the anthology series also won two Golden Globe Awards, including Best Television Limited Series or Motion Picture Made For Television; four Critics’ Choice Awards, including Best Movie Made for Television or Limited Series; the WGA Award for Best Adapted Long Form; and was named an AFI Television Program of the Year. Season one was the most critically-acclaimed program of 2016 and was both cable’s most-watched new scripted series of the year in all key demos and FX’s most-watched series ever with 13.2 million viewers on average per episode across all linear and digital platforms. Matthew Broderick was last seen on screen in Rules Don’t Apply, directed and starring Warren Beatty, as well as in Manchester by the Sea, directed by Kenneth Lonergan. He will next be seen in Look Away, starring alongside Chloe Sevigny and Aidan Turner. Ryan Murphy, Nina Jacobson and Brad Simpson serve as Executive Producers on Katrina: American Crime Story, which is produced by Fox 21 Television Studios and FX Productions. 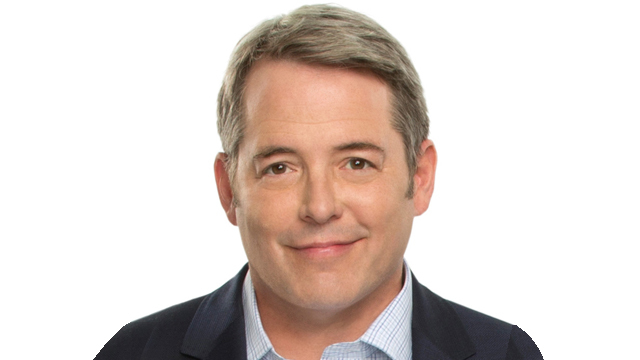 What do you think about the addition of Matthew Broderick to the Katrina cast? Let us know your thoughts in the comments below!